* Please note, these are the booking dates, not the holiday dates, they fall 2 weeks later. 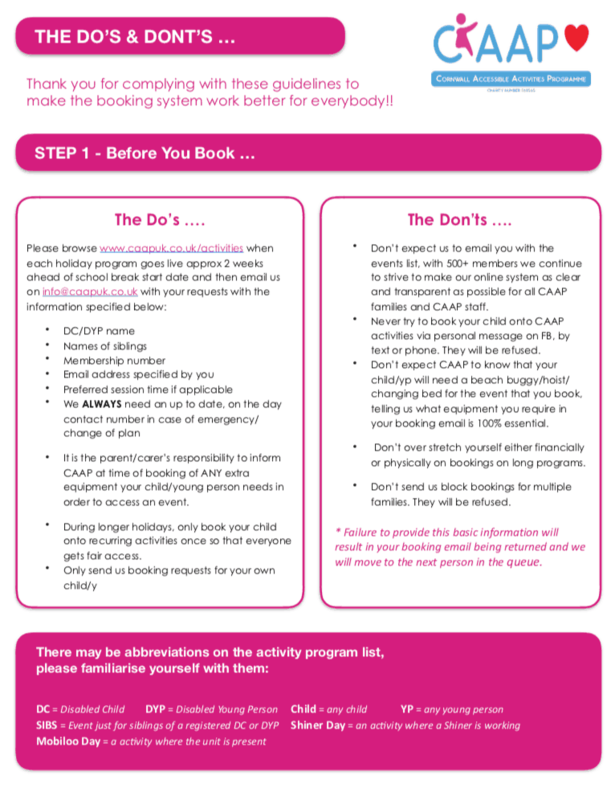 Please make sure you have read the dos and don’ts of how to book CAAP activities before you send your request email, thank you!!!! And please remember bookings can only be taken via info@caapuk.co.uk – thanks.